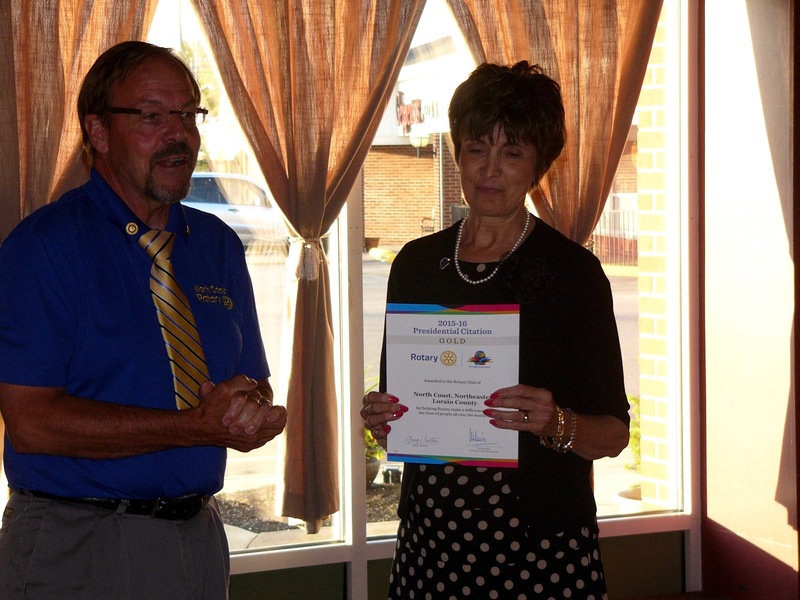 The North Coast Rotary Club was awarded the Gold Presidential Citation for the July 2015 to June 2016 year. Rotary International recognizes rotary clubs each year who are strong and vibrant and achieving the goals of Rotary in community service and leadership. This is to the credit of Club Members who made it happen and under the leadership team of Linda Rakvic, Jinnyn Tata, Mary Crehore, John Crooks, Mark Musial, Frank Krempasky and Doug Maurer.